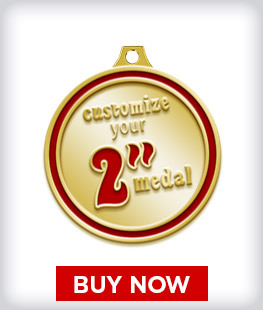 Creating your own CUSTOM LOGO MEDAL is fast and easy. Our designers will work with your existing design or create FREE Artwork with your order. 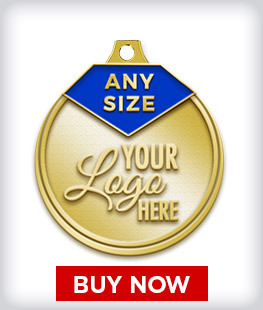 Need a custom logo medal in 24 hours? 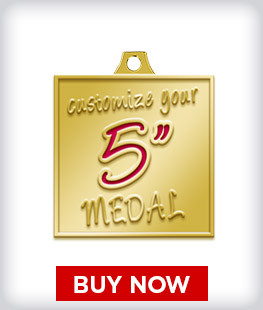 Crown Awards Custom Diecast Medals are a unique way to increase your name recognition while simultaneously awarding your team, employees, clients and business partners alike. 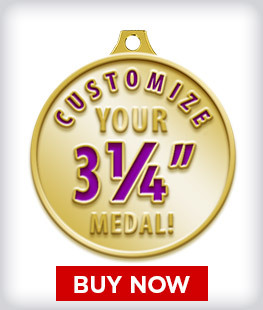 Here at Crown Awards, we are proud to offer the largest available selection of custom medals anywhere! 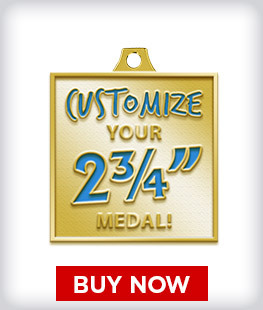 We will guide you from beginning to end on how to create your personalized diecast medal. 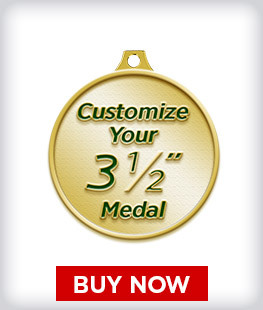 Your Crown custom diecast medal is sure to be one-of-a-kind. Our artists can recreate your existing design/logo or produce new artwork at no obligation. 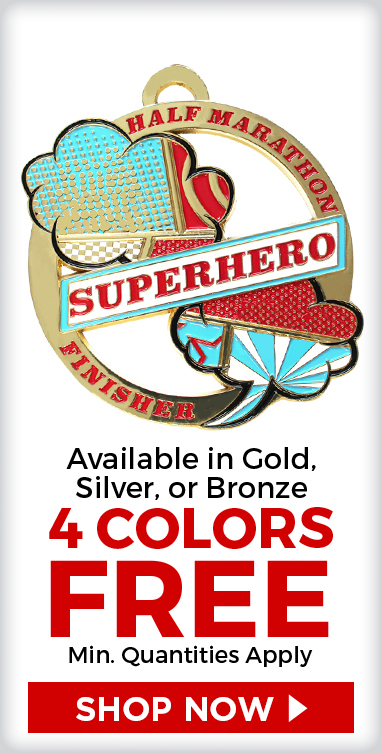 We proudly offer FREE art and setup, as well as a FREE neck ribbon for each medal. 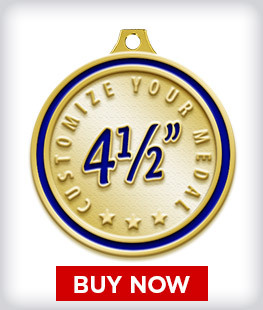 Free ribbon options come in over hundreds of colors and we also offer custom printed ribbon. If you don't see what you are looking for, call our custom department. Our staff is expertly trained to help guide you through every step of the process no matter how large or small your budget maybe. 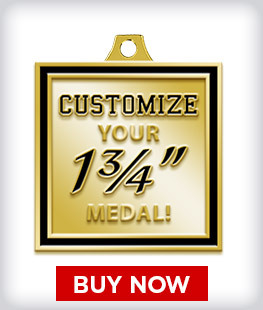 To receive the perfect custom diecast medal of your choice, call us today at 1-800-542-6044! 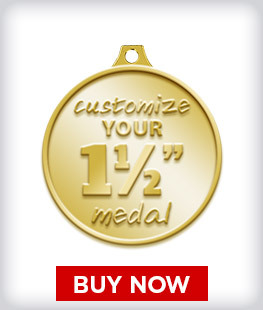 Why Crown Custom Diecast Medals? 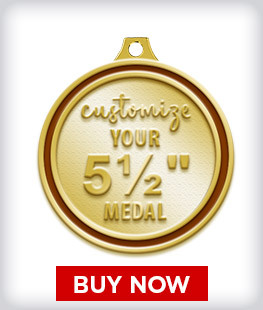 As America's largest awards manufacturer and with over 35 years of experience behind us, Crown's custom medals & awards are sure to fit your gift-giving needs. 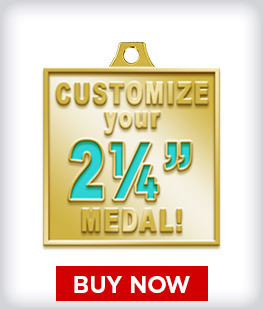 Crown Awards is here to provide our customers with the highest quality products at the lowest prices available, making us your custom made medal manufacturer of choice. Our staff is available Monday through Sunday to answer any questions you may have regarding your custom order. 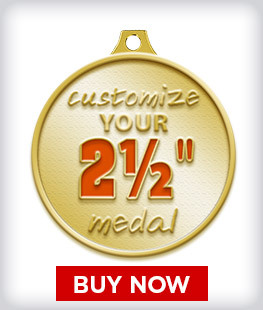 Pick up your phone and speak with a custom medal specialist today, 1-800-542-6044! 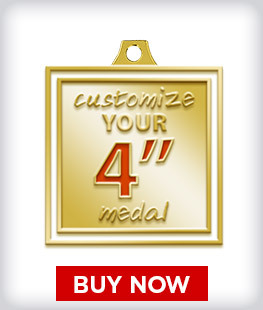 Also check out our line of stock medals. If you need to report a defective award or to return an award(s), please contact our custom team at 1-800-542-6044 as all returns and damaged items must be authorized for tracking purposes. 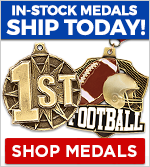 We must be notified of pending returns or damaged awards within 7 business days of the order delivery date. All return orders are subject to a 30% restocking charge. 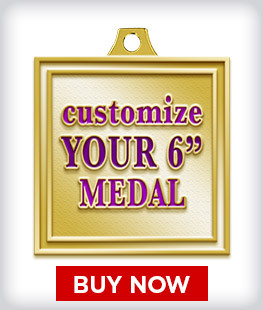 Custom Awards, Shipping charges, engraved plates, plaques, Lucite, and crystal awards are NON-REFUNDABLE.